Cindy partners with her clients to understand the profound changes and trauma that are generated by a break-up. Whether you are in the middle of a break-up or it happened years ago, she empowers clients to turn the pain of heartbreak into a life-affirming journey to wholeness and hope for the future. Cindy understands the pain and confusion that families experience during and after a break-up. She is particularly sensitive to the needs of children during this transition time and provides in-depth support for the adjustments of co-parenting. She works closely with clients to create a new perspective on the meaning of family and a future filled with richer relationships. Cindy compassionately guides her clients through a series of personal breakthroughs to create a healthy, honorable completion. This gives clients the confidence and freedom to embrace a new life where the possibilities for love are greater and more meaningful. 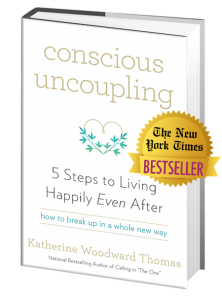 For more information about the Conscious Uncoupling process or to schedule a free 20-minute consultation, please call (949)542-3809. We can work in person, over the phone or with Skype. Eden Energy Medicine is a method of working directly with our body’s energy systems to help create vibrant health and vitality. Energy testing is used to check the balance of the 9 main energy systems. 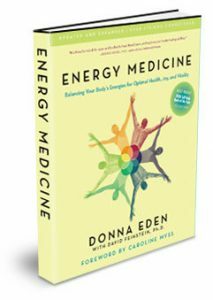 Donna Eden has developed techniques that will bring balance and flow to your energy systems and leave you feeling more grounded, calm and energetically aligned. During an individual session you will learn targeted exercises that you can continue to use at home to help your body strengthen the energy pathways to create vibrant health and well-being. There are many techniques developed by Donna Eden to support you in alleviating physical and emotional challenges. Cindy is a skilled practitioner with many years experience who will work with you to understand your body’s energies and provide potent tools to promote a high-level of well-being. Cindy is an experienced speaker, group leader and teacher. She is available to speak to small or large groups on topics related to divorce or relationship break-up and energy balancing. Cindy is available to do workshops introducing the Conscious Uncoupling process along with sharing some helpful tools for coping with the pain and trauma of relationship endings. work with their own energies. Please call (949)542-3809 or e-mail healheartmindbodycoach@gmail.com for more information.